T.E.N.S- Transcutaneous Electrical Nerve Stimulation: TENS was designed to relieve pain by sending gentle electrical impulses through the skin to the nerves. This suppresses pain by blocking the pain signals before they reach the brain. This type of stimulation is characterized by biphasic, low volt, current and selectable parameters such as pulse rate and pulse width. TENS stimulates sensory nerves to block pain signals, stimulate endorphin production to help normalize sympathetic function. 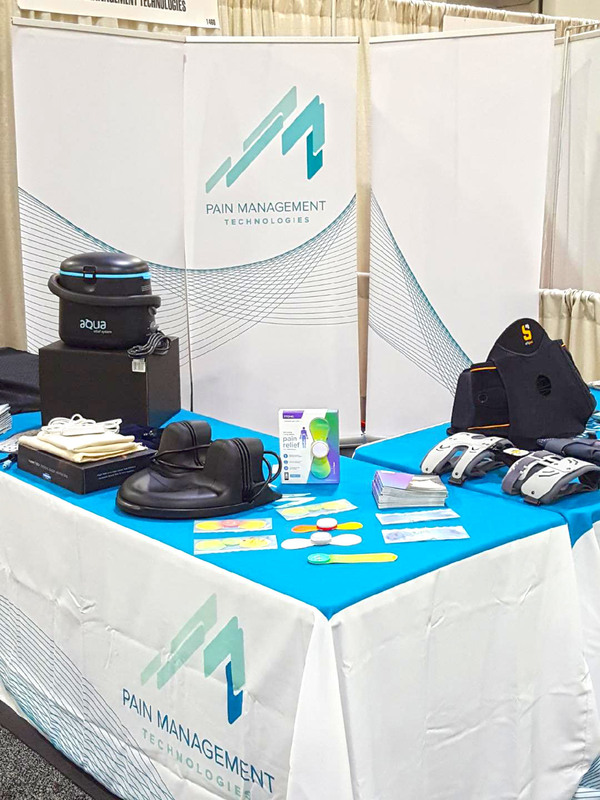 EMS- Electrical Muscle Stimulation: EMS is predominately used by doctors and physical therapists to prevent, or reduce, muscle atrophy. This type of stimulation is characterized by a low volt stimulation targeted to stimulate motor nerves to cause a muscle contraction. EMS differs from TENS in that it is designed to stimulate muscle motor nerves, while TENS is designed to stimulate sensory nerve endings to help decrease pain. Enables patient to exercise an immobilized muscle by duplicating a conventional exercise. Galvanic Stim: Galvanic stimulation is most useful in acute injuries associated with major tissue trauma with bleeding or swelling. In contrast to TENS and IFC units, which apply alternating current, galvanic stimulators apply direct current. Direct current creates an electrical field over the treated area that, theoretically, changes blood flow. The positive pad behaves like ice, causing reduced circulation to the area under the pad and reduction in swelling. The negative pad behaves like heat, causing increased circulation, reportedly speeding healing. High-voltage pulsed galvanic stimulation (HVPGS) is gaining widespread use for wound healing, edema reduction and pain relief Carpal Tunnel Syndrome and Diabetic Foot are two major areas of use. Interferential Generator: Interferential stimulation differs from TENS because it allows a deeper penetration of the tissue with more comfort (compliance) and increased circulation. Interferential current is essentially a deeper form of TENS. In essence, IFC modulates a high frequency (4000 Hz) carrier waveform with the same signal produced by a TENS unit. The high frequency carrier waveform penetrates the skin more deeply than a regular TENS unit, with less user discomfort for a given level of stimulation. Deep in the tissues, the carrier waveform is cancelled out, resulting in a TENS-like signal deep under the skin. M.E.N.S.- Micro-current Electrical Neuromuscular Stimulator: Where TENS is used to hide pain, micro-current, because of its close proximity of our own body’s current, is thought to work on a more cellular level. It has been theorized that healthy tissue is the result of the direct flow of electrical current throughout the body. Electrical balance is disrupted when the body is injured at a particular site, causing the electrical current to change course. The use of micro-current over the injured site is thought to realign this flow, thus aid in tissue repair. E.M.S. stands for Electrical Muscle Stimulation. EMS is predominately used by doctors and physical therapists to prevent, or reduce, muscle atrophy. Atrophy is the weakening and loss of muscle tone, which is usually experienced after surgeries or injuries. EMS has proven to be an effective means of preventing muscle atrophy. Doctors also see EMS as a means of increasing blood flow to muscles, increasing range of motion, increasing muscle strength, as well as enhancing muscle endurance. EMS will have pain management attributes in regards to muscle related pain, such as a spastic muscle, sore muscles, or tight muscles. A TENS device is more suited for nerve related pain conditions (acute and chronic conditions). While using the EMS, the brain sends a nerve impulse to the "motor point" of your muscle. This signal is a message to the muscles to expand and contract. Electrodes are placed over the motor points of the muscle group to be exercised. When the stimulation is applied through the pads, the signal finds its way to these motor points and causes the muscle to expand and contract. This makes it possible to duplicate a conventional exercise, similar to an isometric exercise. During an exercise, your brain sends a message down the spinal cord through the nerves with all the muscles you're using that causes them to relax and contract. This is called voluntary muscle action. Your brain is controlling the muscle. Electrical muscle stimulation uses an outside electrical source that stimulates the nerves to send signals to your muscle to expand and contract. This is done by sending electrical current through self adhesive electrodes placed over the muscle. The current passes through your skin to the nerves in that area, causing the muscle to expand and contract. Studies have shown that EMS stimulates large nerve axons (long outgrowths of a nerve cell body), some of which you cannot stimulate voluntarily. It is possible that EMS might allow for additional muscle hypertrophy (increased development of tissue by enlargement, without multiplication of cells). EMS can increase muscle hypertrophy (growth), endurance and strength. EMS may be used only for this or with regular weight training by aiding recovery and helping muscles grow and get stronger. EMS can increase body temperature, heart rate and metabolism (promoting energy and fat absorption from the body). Normally when you perform an exercise, your brain sends a message through your spinal cord to nerves indicating muscles to contract. EMS uses electrical impulses to stimulate the nerve axons.These impulses reach the nerve axons, signaling the muscles to contract and relax rhythmically as instructed by the EMS unit. EMS actually stimulates muscles that you can not normally exercise voluntarily. This allows you to train muscles that may normally have little activity. Will EMS Improve My Physical Appearance? EMS is widely used by bodybuilders and other athletes as a supplement to strength training. Olympic athletes have been utilizing EMS to enhance their training for over wenty years. EMS is used to increase muscle tone and endurance. For best results, many bodybuilders use EMS in conjunction with working out. A rhythmic pumping of the muscles, produced by the EMS unit, helps deliver nutrients and oxygen to the muscles. Concurrently, waste products such as lactic acid are pumped out of the muscles. This increased blood flow to the muscles cuts down on recovery time and promotes healthy muscle activity. Bodybuilders also frequently use EMS for the relaxation of muscle spasms. EMS provides an increase in range of motion, which reduces the chance of injury. Men and Women are increasingly using EMS to enhance their appearance by toning their abdominal and chest muscles. Channels: Duel isolated between channels. Intensity: (Amplitude): Adjustable 0-(80+or-10) mA peak into 500 ohm load each channel. Pulse Rate: (Frequency): (Adjustable) (2+or-1) Hz~ (120+or-20%)Hz. Pulse Width: (Duration): (250+or-10%) microseconds fixed each pulse. On Ramp: The time required to reach the pulse width value (250+or-10%)us and amplitude. setup value can be selected to be 1-8 seconds for Channel 1. The ramp canít be selected on Channel 2 when ìAlternationî function is used. Cycle On Time: Adjustable (1+or-0.5)~(30+or-20%)seconds. Mode: (Three modes) Synchronous (ìSî), Constant (ìCî) and Alternation (ìAî). T.E.N.S stands for Transcutaneous Electrical Nerve Stimulation. TENS is a drug-free alternative for managing pain. For the past twenty years, doctors have been prescribing TENS as an effective way to relieve pain. TENS offers many people safe comforting relief. It reduces and often even eliminates pain. It is FDA approved, and it is reimbursable by most insurance providers. TENS was designed to relieve pain by sending gentle electrical impulses through the skin to the nerves. This suppresses pain by blocking the pain signals before they reach the brain. TENS sends these gentle impulses through lead wires that are connected to electrodes. These electrodes are strategically placed at appropriate pain sights on the body. Because there are many different kinds of pain, and each individual is unique, pain relief varies from person to person. Some users experience pain relief only while the TENS unit is turned on. For others, relief continues for a length of time even after the unit is turned off. TENS is an excellent, non-drug alternative for chronic pain such as lower-back ache and arthritis. It is also useful in relieving acute pain associated with surgery, traumatic injury, and other conditions. 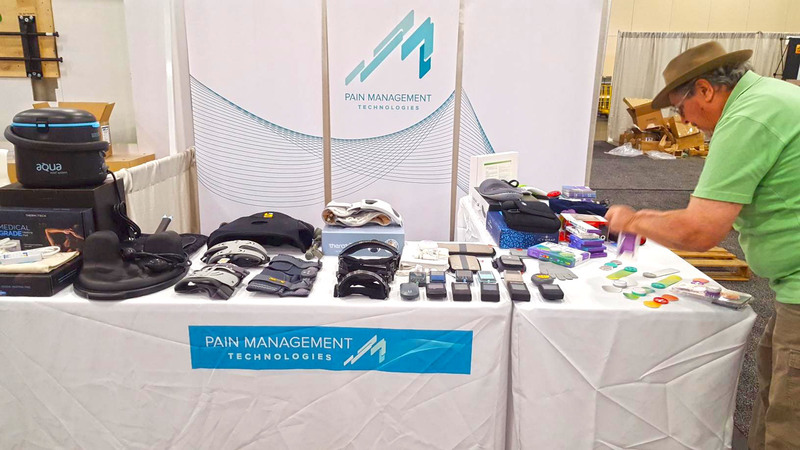 PMT offers the most advanced, pocket-sized, fully portable TENS system designed to relieve both acute and persistent pain. 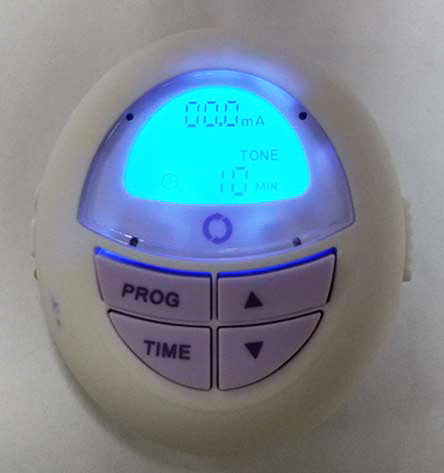 The TENS provides several different modes of operation; this provides the user with a variety of treatment options. Because the TENS uses two channels, it can be used to relieve pain at two body locations. The TENS is about the size of a deck of playing cards, so you can wear it anywhere, at home, to work, or in your car. A convenient belt clip allows you to wear it on your belt or even inside your clothing. What is the most effective way to use TENS? To achieve the best results of TENS therapy, it is important to remember that TENS merely activates the body's own pain-fighting mechanism. Placing electrodes directly over or around the painful area delivers pain-blocking current to the nerves leading to that area. Some healthcare professionals have found that placing the electrodes along acupuncture points is also effective. Also, it is good to vary the placement of the electrodes each treatment to avoid skin irritation. In most cases, studies show that it takes roughly 30 minutes for TENS treatment to begin to relieve pain. However, for conventional, high frequency TENS treatment, there is no set treatment limit. Some patients find hours of pain relief from short 30-to-60 minute sessions. Others use their TENS units for several hours a day or all day, depending on the pain generated by daily activities. Always use your TENS unit according to your physician's directions. TENS can be administered any time of day or night. It is recommended that TENS not be used while sleeping. This is simply because movement during sleep may cause electrodes to come off or be pressed into the flesh, causing skin irritation. However, always use your TENS unit according to your physician's directions. Unlike surgery or prescription drugs, TENS is virtually risk free from injury, side effects or addiction. The low-volt electrical current delivered by the electrodes only penetrates the skin to the level of the nerve fibers, usually only one to two inches. This poses no danger to most individuals. However, those with cardiac conditions and/or pacemakers, and pregnant women should consult their doctors before using TENS. Also, neck and head pain that requires locating electrodes on these areas of the body should be conducted only with the consent of a physician. Use caution when you drive or operate heavy machinery. Interferential current (IFC): This type of stimulation is characterized by the crossing of two electrical medium, independent frequencies that work together to effectively stimulate large impulse fibers. These frequencies interfere with the transmission of pain messages at the spinal cord level. Because of the frequency, the Interferential wave meets low impedance when crossing the skin to enter the underlying tissue. This deep tissue penetration can be adjusted to stimulate parasympathetic nerve fibers for increased blood flow. Interferential Stimulation differs from TENS because it allows a deeper penetration of the tissue with more comfort (compliance) and increased circulation. Interferential current is essentially a deeper form of TENS. In essence, IFC modulates a high frequency (4000 Hz) carrier waveform with the same signal produced by a TENS unit. The high frequency carrier waveform penetrates the skin more deeply than a regular TENS unit, with less user discomfort for a given level of stimulation. Deep in the tissues, the carrier waveform is cancelled out, resulting in a TENS-like signal deep under the skin. Anecdotal evidence suggests that the IFC units may be useful for patients who have not had relief from TENS. Interferential electrical stimulation's is a unique way of effectively delivering therapeutic frequencies to tissue. Conventional TENS and Neuromuscular stimulators use discrete electrical pulses delivered at low frequencies of 2-160 Hz per second. However, Interferential stimulators use a fixed carrier frequency of 4,000 Hz per second and also a second adjustable frequency of 4,001-4,400 Hz per second. When the fixed and adjustable frequencies combine (heterodyne), they produce the desired signal frequency (Interference frequency). Interferential stimulation is concentrated at the point of intersection between the electrodes. This concentration occurs deep in the tissues as well as at the surface of the skin. Conventional TENS and Neuromuscular stimulators deliver most of the stimulation directly under the electrodes. Thus, with Interferential Stimulators, current perfuses to greater depths and over a larger volume of tissue than other forms of electrical therapy. When current is applied to the skin, capacitive skin resistance decreases as pulse frequency increases.' For example, at a frequency of 4,000 Hz (Interferential unit) capacitive skin resistance is eighty (80) times lower than with a frequency of 50 Hz (in the TENS range). Thus, Interferential current crosses the skin with greater ease and with less stimulation of cutaneous nociceptors allowing greater patient comfort during electrical stimulation. In addition, because medium-frequency (Interferential) current is tolerated better by the skin, the dosage can be increased, thus improving the ability of the Interferential current to permeate tissues and allowing easier access to deep structures. This explains why Interferential current may be most suitable for treating patients with deep pain, for promoting osteogenesis in delayed and nonunion fractures and in pseudothrosis, for stimulating deep skeletal muscle to augment the muscle pump mechanism in venous insufficiency, and for depressing the activity of certain cervical and lumbosacral sympathetic ganglia in patients with increased arterial constrictor tone. Common uses: Pre and post-orthopedic surgery, joint injury syndrome, cumulative trauma disorders, increasing circulation and pain control of various origins. Interferential Therapy is used in the treatment of circulatory disorders, range of motion, edema and muscle spasms. Post-op patients will use the device 3 times a day for 15 minutes over a period of 14 - 30 days. Since Interferential Therapy has been in use for many years, its effectiveness is well documented. Studies have shown that patients using Interferential Therapy after surgery develop fewer post-op complications than those relying solely on narcotics for pain relief. Interferential stimulation does not cause respiratory depression. Interferential Therapy aids in circulation, increasing the recovery time for patients. Multiple treatments at home or work will typically speed the patient's recovery and allow earlier resumption of their normal lifestyle. YES. Although the thought of electrical impulses being sent into the body may seem frightening at first, all you really feel is a slight vibrating sensation. Unlike many drugs, Interferential devices have no known side effects. Who cannot use an Interferential device? Individuals with a pacemaker or patients who are pregnant should not use an Interferential device. Consult your doctor or clinician first. Will an Interferential device work for me? Microcurrent Electrical Neuromuscular Stimulator, (MENS): The newest units use a very low voltage current, usually between 1uA and 1000uA. A microamp (uA) is 1/1000 of a milliamp (mA), so 1000 uA equals 1 mA. Most TENS devices have a milliamplitude of 1-80 mA. Where TENS is used to hide pain, Microcurrent, because of its close proximity of our own body’s current, is thought to work on a more cellular level. It has been theorized that healthy tissue is the result of the direct flow of electrical current throughout the body. Electrical balance is disrupted when the body is injured at a particular site, causing the electrical current to change course. The use of Microcurrent over the injured site is thought to realign this flow, thus aid in tissue repair. It's been found that ATP (Adenosine Triphosphate) in the cell helps to promote protein synthesis and healing. The lack of ATP due to trauma of the tissue results in the decreased production of sodium and an increase in metabolic wastes, which is perceived as pain. The use of Microcurrent at an injured area helps to realign the body’s electrical current, increase the production of ATP, resulting in increased healing and recovery, as well as blocking the pain that is perceived. The electrical current used in Microcurrent Therapy is so small that it is rarely felt physically, however biologically it has an effect. The water-moistened electrodes or gel used to conduct the current may seem cool when first applied. There may be up a +/- 20% tolerance of all specifications. Galvanic stimulation is most useful in acute injuries associated with major tissue trauma with bleeding or swelling. In contrast to TENS and IFC units, which apply alternating current, galvanic stimulators apply direct current. Direct current creates an electrical field over the treated area that, theoretically, changes blood flow. The positive pad behaves like ice, causing reduced circulation to the area under the pad and reduction in swelling. The negative pad behaves like heat, causing increased circulation, reportedly speeding healing. The Galvanic Stimulator (direct current) is the best modality for iontophoresis treatments. Slid the button to the “ON” position in the center. When the unit is switched to ON an audible “Beep” sound will be heard. When the unit is on the program which was last used will be automatically started. The strength returns to about 50% of the level that was being used when the unit was switched off. This simplifies start up dramatically. To switch unit OFF: Slid the button to the “OFF” position at the left. Slid the button to the “LOCK” position at the right. When the unit is locked, the PROG button and TIMER button are disable, the user can not change program and adjust the timer. Only intensity can be adjustable. To increase strength: Press and hold down this button until the required strength is achieved. The Soft cycle has specifically selected programmes. When you switch on the unit, program URGE is initiated automatically. Next time when it is switched on the program will be default to the one last used. Each time when the “PROG” button is pressed the program is changed. The screen displays the programme selected. The timer can be set to “C” (continuous) -10min-30min-45min-60min-90min in sequence. 2. Auto shut off If the unit is turned on and the intensity level is not increased over 0 for more than 5 min then the unit is shut off automatically. 4. LED When the output is over 0, the LED is lighted. 5. LCD backlight Blue back light, it is lighted right after any button is pressed and last 5 seconds. 7. Shelf life Battery will last at least 8 weeks with unit switched off. 9. Memory 1. By pressing TIMER + Strength UP buttons simultaneously the accumulated usage time and average current intensity can be displayed. 2. By pressing TIMER + Strength Down buttons simultaneously the accumulated usage time and average current intensity can be cleared. A 1 year warranty is given to all devices, excluding braces and hot/cold therapy units which carry a 6-month warranty on the unit and pad. This warranty is for replacement of like items only. If we no longer stock them, then we will upgrade you to a like model. Outdated technology is not covered by warranty if the item is no longer available on the common market as a new product. Warranty policy does not include accessories supplied with the device. For example, lead wires, battery, and carrying case. Shipping is excluded from warranty coverage and may be assessed on a replacement.